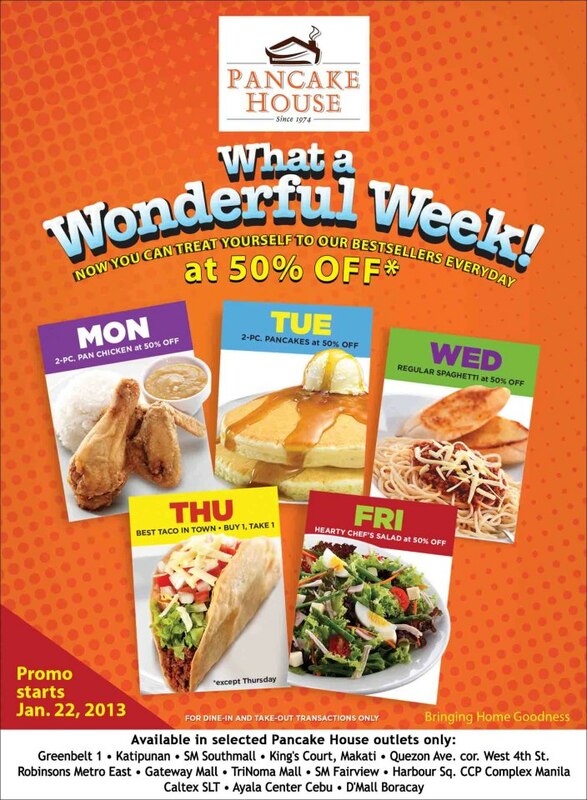 It's a Wonderful Week at Pancake House! 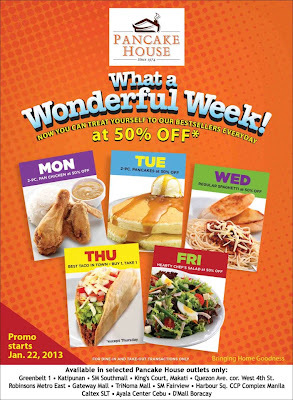 You can now enjoy 50% OFF on selected Pancake House favorites everyday (except Sat & Sun)! Promo runs until Jan. 29, 2013 only.